From 2000 to 2010, the Latino population increased by more than 73 percent across eight midwestern states. These interdisciplinary essays explore issues of history, education, literature, art, and politics defining today’s Latina/o Midwest. Some contributors delve into the Latina/o revitalization of rural areas, where communities have launched bold experiments in dual-language immersion education while seeing integrated neighborhoods, churches, and sports teams become the norm. Others reveal metro areas as laboratories for emerging Latino subjectivities, places where for some, the term Latina/o itself corresponds to a new type of lived identity as different Latina/o groups interact in shared neighborhoods, schools, and workplaces. 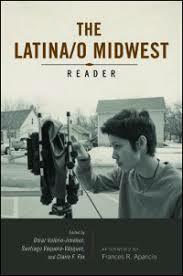 Eye-opening and provocative, The Latina/o Midwest Reader rewrites the conventional wisdom on today's Latina/o community and how it faces challenges—and thrives—in the heartland.